The Steeton Male Voice Choir will be performing at St Mary's Parish Church. 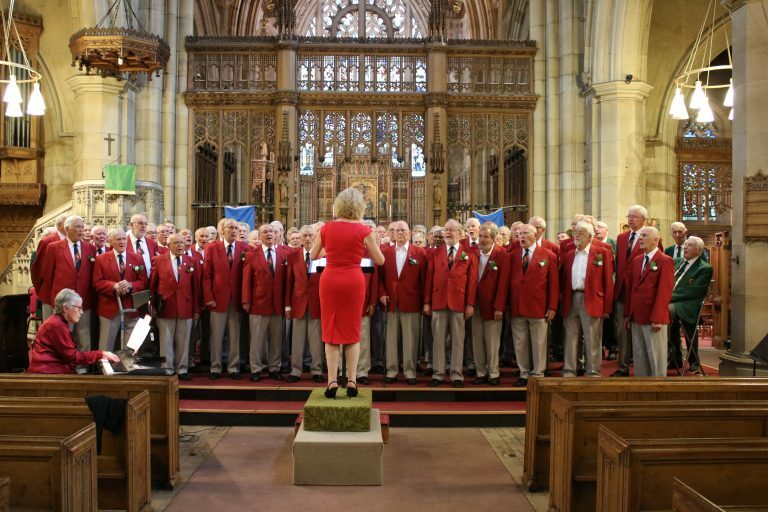 Based in the village of Steeton, situated between Skipton and Keighley and within sight of Ilkley Moor, Steeton Male Voice Choir is one of the oldest and most respected male voice choirs in Yorkshire. The current Musical Director is Mrs Catherine Sweet, who joined the Choir on 26th July 2017 and has brought not only a wealth of experience but also a new burst of energy and quality that is already reaping its rewards amongst the Steeton choristers and naturally being enjoyed by audiences. For this evenings' concert the choir will perform a mixture of male voice standards, show songs, arrangements of well known modern songs, and some folk standards. Expect the very best of entertainment with one of the best choirs in the business!